Fill in your details below and we will let you know within 24 hours if we can get Legendary Encounters: The X-Files to you with haste! 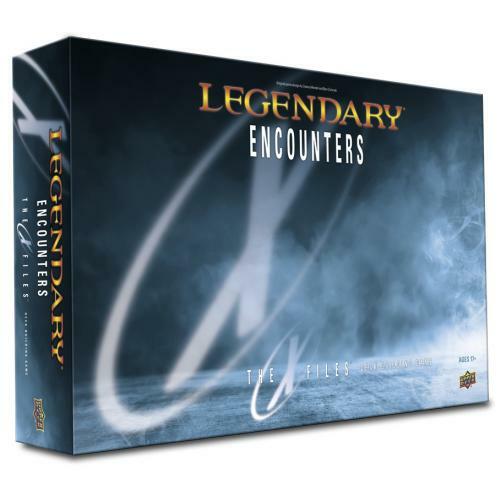 Legendary® Encounters: The X-Files™ Deck Building Game is a card game themed around the award-winning television series The X-files™. Players will take on the roles of their favorite truth-seeking special agents like Mulder, Scully or Skinner and work together to expose and overcome a variety of grand conspiracies. Mystery and subterfuge fog the way forward as players, encouraged by beliefs and encountered by doubts, work to reveal and defeat an unrelenting stream of malevolent agents and paranormal entities. Recruit powerful allies while collecting evidence and potential leads to help your team foil the Syndicate. Remember, even though you want to believe, trust no one. It is a fully cooperative card game for 1-5 players, and players must work together to play through seasons of the X-Files™ television series. Each Core Set comes with 500 playable cards and features images from the show! It also includes your favorite agents, such as Mulder, Scully, Skinner, Doggett, and Reyes!